A motion seeking to introduce criminal responsibility for failure to explain the sources of large incomes has gathered 100,000 signatures on the internet and will be scrutinized by Russian government experts. The move was initiated by anti-corruption blogger-turned political activist Aleksey Navalny, and its supporters have signed the petition on a website dedicated to this issue. The document seeks to introduce some norms into Russian law that Navalny claims would be in line with the 20th article of the UN anti-corruption convention providing for punishment for illegal financial gains. In particular, the sponsors of the motion suggest introducing jail sentences for civil servants and managers of state-owned corporations, who cannot explain the sources of the means used to purchase their property. According to Russian law, any petition that collects 100,000 signatures of supporters on the special site becomes a legislative motion that must be submitted to parliament. However, public support isn’t a guarantee the draft even makes it to the voting stage – more often such bills get rejected or crucially altered by government or parliamentary experts at the preparatory stage. Russian mass media estimated Navalny’s bill has extremely low chances of being passed due to the existing contradiction between Russian law and article 20 of the UN anti-corruption convention. In 2006, Russia ratified the document, but excluded article 20 from it as Russian politicians and experts hold that otherwise such a move would violate the presumption of innocence guaranteed by the constitution. In March 2013, the Communist Party of the Russian Federation attempted to implement the scheme that is now being used by Navalny. The Communists collected 115,000 signatures in support of ratifying article 20 of the UN convention. The document went to the Lower House, but didn’t even make it to the first reading. Aleksey Navalny currently leads the Party of Progress – a relatively new political project built on a populist agenda that includes anti-corruption slogans. Earlier this month, the politician announced the party would press for participation in the 2016 parliamentary polls using all means, including street protests. It should be noted that Navalny himself has been convicted in two corruption cases and received suspended prison sentences for embezzlement and graft. 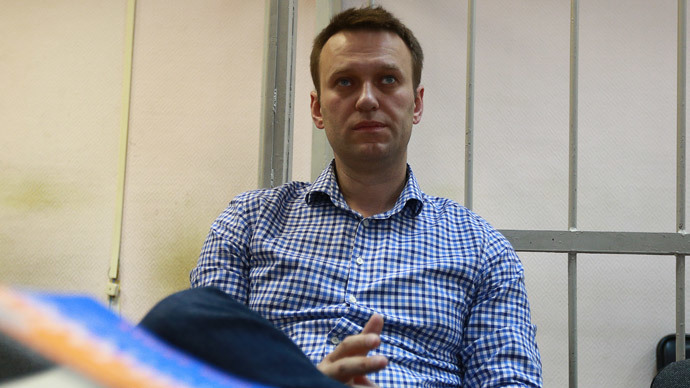 Several more probes are currently under way with Navalny and his political allies as suspects. The activist has always maintained his innocence and said the criminal cases were the authorities’ revenge for his relentless anti-corruption drive. On Monday, experts from the Justice Ministry, Interior Ministry and the Presidential Administration were negative about Navalny’s motion, citing the same reasons as in the case with that of the Communist Party. “The fundamentals of Russian law will not allow the application of criminal law against the owners of some assets if the criminal sources of these assets are not proven,” reads the expert assessment. The specialists noted that all actions that could potentially lead to civil servants’ illegal income had been already criminalized in Russia as bribery, graft, abuse of power or illegal business activities. Russian Human Rights activists also rejected the suggestion warning that its approval could lead to a wave of repressions comparable with Stalinist purges of 1930s. “Introducing such a norm would open the road to the new 1937. Do we want any new political repressions? I hope not,” the head of the Presidential Council for Human Rights, Mikhail Fedotov, was quoted as saying by Interfax. Navalny himself was not allowed to participate in the discussion of the motion as he currently remains under house arrest, waiting for his most recent sentence to come into force.